Pumpkin pulp makes for wonderful facial masks. The pulp is full of enzymes which naturally exfoliate dead skin cells and it also has beta-carotene and Vitamin A which are soothing to the skin. 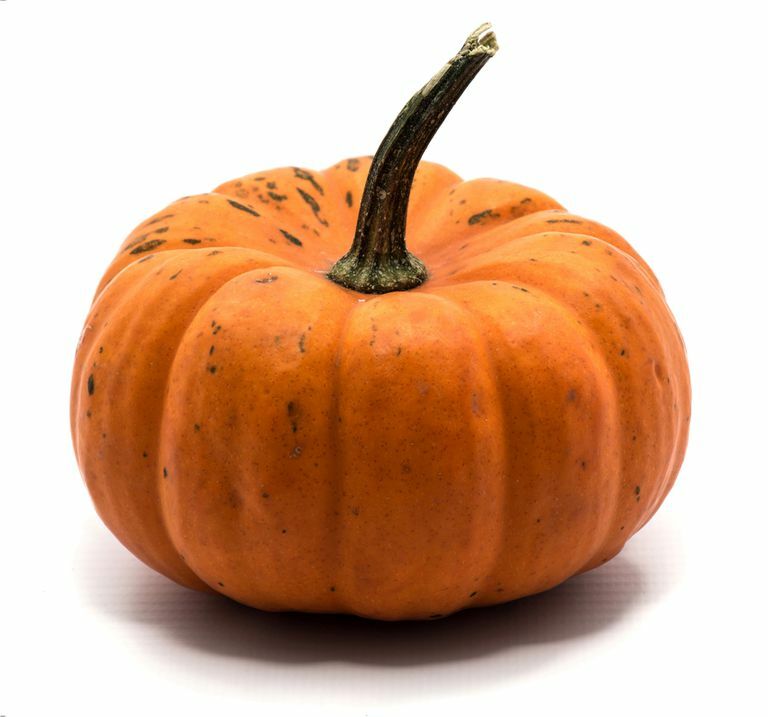 Here are 4 wonderful pumpkin mask recipes that work on many different skin types. You can pay $35 for pumpkin mask in a jar (we recommend Peter Thomas Roth Pumpkin Enzyme Mask, buy it from Amazon.com). Or you can pay $140 on up for a professional pumpkin peel from a salon. They have become super popular for their gentle exfoliation and the way they leave your skin feeling smooth and refreshed. But why not make your own for the money it costs for a pumpkin? All of these recipes call for fresh pumpkin, but canned works well, too and is much more convenient. Just make sure there are no added ingredients. I think these recipes are perfect for fall. This version of Jenae's recipe is for dry skin. There's a version for oily skin below. Purée the fresh pumpkin pulp into a thick paste. Add the egg (this acts as a binder). Stir in a splash of omega-rich almond milk and the honey. Mix well. Apply the mask, leaving it on for 15-20 minutes, depending on your skin sensitivity. Rinse with cool water and moisturize as usual. This is the same recipe as above but adapted for oily skin. Purée the fresh pumpkin pulp into a thick paste. Add the egg (this acts as a binder). Stir in apple cider vinegar or cranberry juice. Mix well. This is a great recipe for anyone with oily skin or combination skin. Clay masks are wonderful for soaking up oils while softening and smoothing out the skin. You can buy clay from any health food store or online. Mix ingredients in a small glass bowl. Never use metal with green clay, it can mess with the qualities of the clay. Apply to the face, let it dry and then wash off with warm water. Follow with moisturizer. Why make yourself a mask, when you can do an entire facial? This luxurious treatment gives you similar benefits to going to a spa, only you are doing all the work yourself and saving $130. Wash your face with your favorite cleanser. Soak a cotton ball in whole milk and apply to face. Let it dry. The lactic acid in the milk works to remove dead skin cells on the surface of the skin. After the milk has dried, rinse it off in warm water. To remove that loosened dead skin, you need to exfoliate. In a bowl, combine 1 teaspoon of pumpkin pulp and 1/2 teaspoon of sugar (I prefer brown, but white works, too). Add to this 1/2 teaspoon of lemon juice and a couple drops of honey. Mix together. Apply this to your face in a scrubbing motion. Rinse in warm water. For the enzyme peel, mix 1 tablespoon of pureed or canned pumpkin with 1 teaspoon of plain Greek yogurt and 1/2 teaspoon of runny honey (runny honey is warmed honey). Apply to face. Rinse off after 15 minutes. You should be left with super clean, moisturized skin.